Paris is possibly the most beautiful city in Europe, but also one of the most expensive, and hotel stays in particular can really add up. 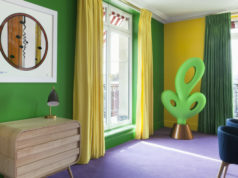 Thankfully, a flurry of recent openings now means Paris has a variety of both affordable and fashionable accommodation options, ranging from fun hostels to slick hipster hangouts. 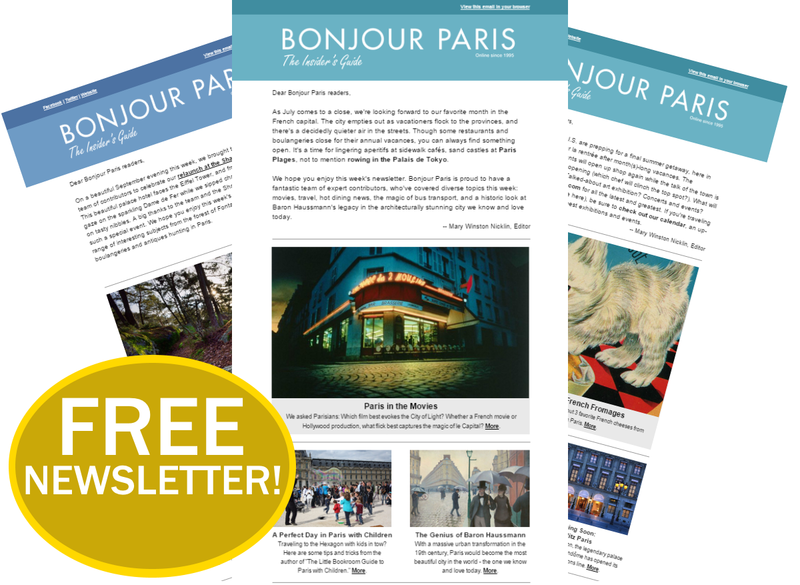 Read on for some of Bonjour Paris’s favorites. Stylish rooms, a fashionable crowd, and a huge outdoor terrace, and all starting from 79€ per night. M.O.B. 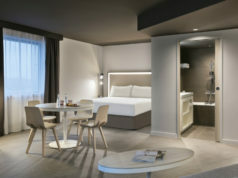 Hotel might be located further out of Paris but it has still made itself a destination point in the city, and the (very) affordable prices are worth the slightly extra travel time if you’re on a budget. 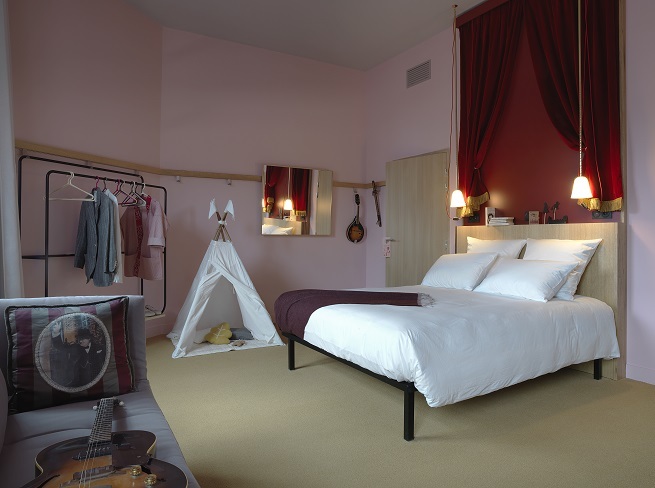 Rooms even come with a blow-up bed to squeeze in one more and cut the cost further. It might be located in the less fashionable area of the 13eme but don’t let that put you off – C.O.Q. Hotel is also just two metro stops to Bastille and just one from the famous Rue Mouffetard and the Latin Quarter. Standing for Community of Quality, C.O.Q. 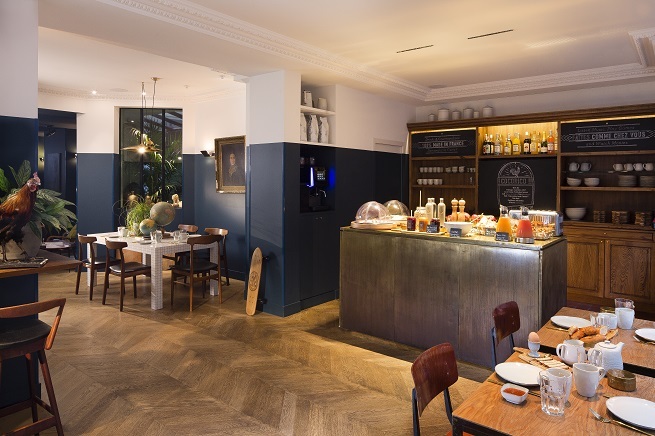 Hotel offers stylish rooms and a delicious breakfast the next day, and is a great choice for those looking to stay at one of Paris’a hippest hotels. Rooms start from 119€, and if you book directly with the hotel you’ll receive a 10 percent discount. 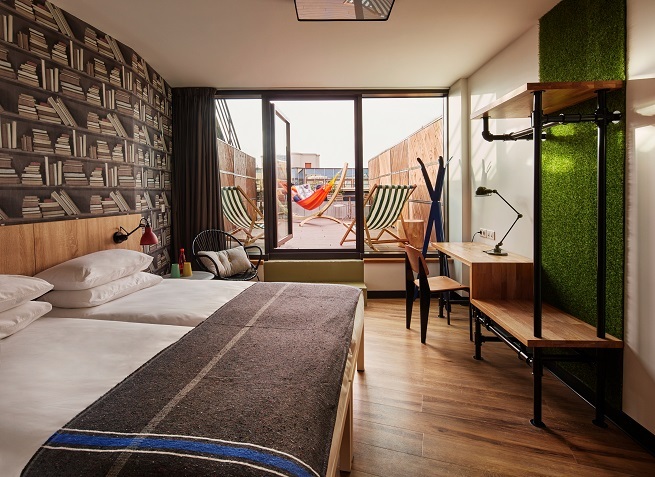 Generator leads the way with upmarket hostels, in fact they are more like stylish budget hotels. 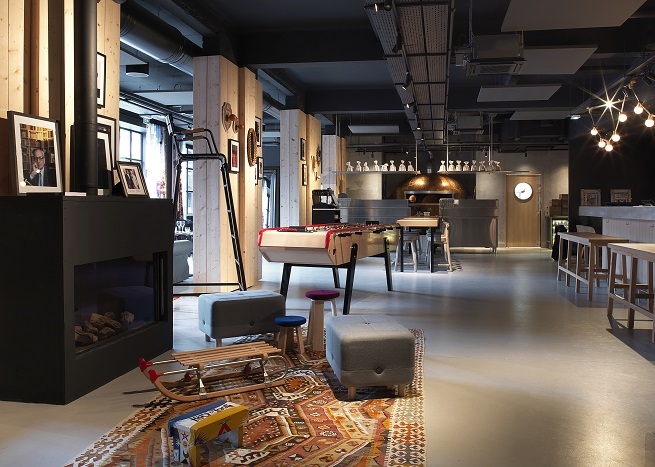 Like its sister hostels, Generator Paris has a vibrant youthful feel to it and is very accommodating for groups of friends. However, if you’re looking for more privacy, double rooms can still be booked and from around 80€ a night. Located in the 10eme it is also nearby the hipster Canal St Martin for those who want to explore the bobo side of Paris. With 4-stars to boast about, Hotel Panache offers great quality at an affordable price. It is one of the more expensive hotels on the list, but if you’re lucky you can bag a stay for around 115€ a night. 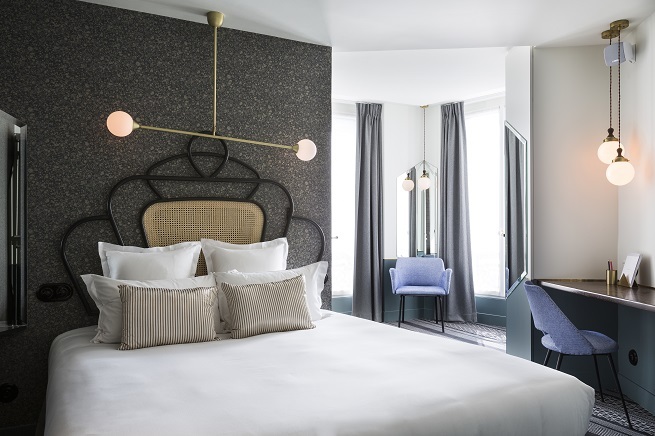 Designed by one of Paris’s most sought after interior designers, Dorothée Meilichzon, guests are sure to fall in love with the Art Nouveau style and exceptional attention to detail. Also check out the 3-star sister hotels Hotel Paradis and Hotel Bienvenue, both of which also offer rooms starting from around the 100€ mark. 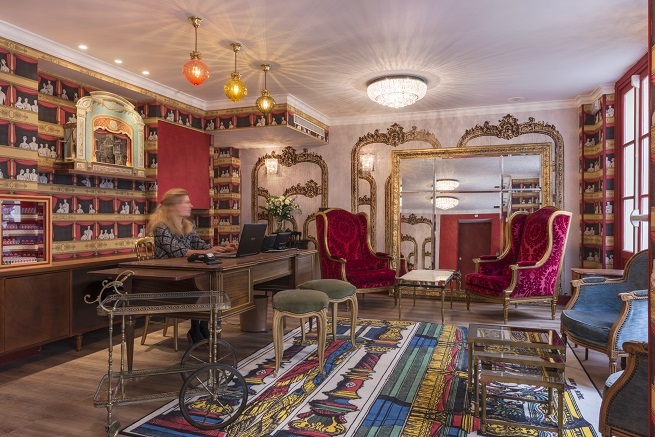 Inspired by the nearby Moulin Rouge, the theatrical Hotel Sacha is a particularly good choice for friends – choose one of the hotels 3-bed rooms and you can split the cost of your Paris trip even further. Its amenities are fairly basic– there is no restaurant, spa, or other extras– but the décor is fun and the location is excellent, especially for a room starting at 119€ per night. Before you head off to the nearby tourist spots of Pigalle and Montmartre, don’t miss a stroll down nearby rue des Martyrs during your stay, it’s a great place to mingle with the local Parisians on a Saturday morning. 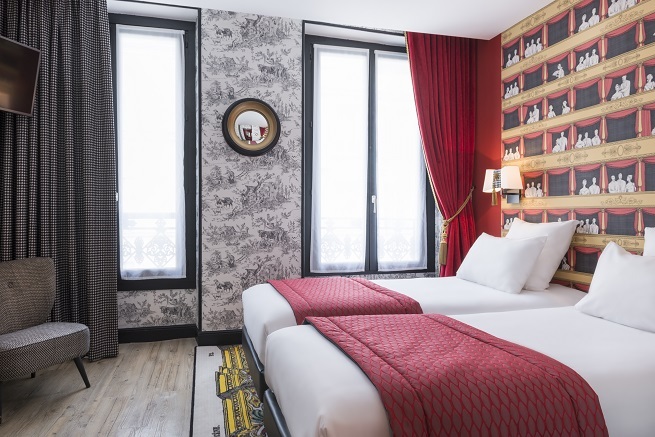 The hotel chain Citizen M recently opened its most central location in Paris at Gare de Lyon, offering fans of the hotel a more affordable way to stay in the center of the city. 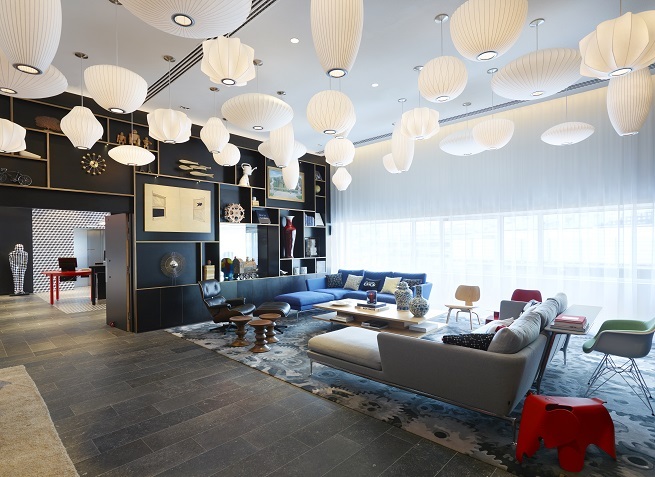 With ultra-modern facilities – you can even check in with an iPad – and rooms in stark white, Citizen M is a good choice for those who love minimalist design. Rooms start from around 94€ a night if you book far enough in advance to bag the hotel’s “Early Bird” price. 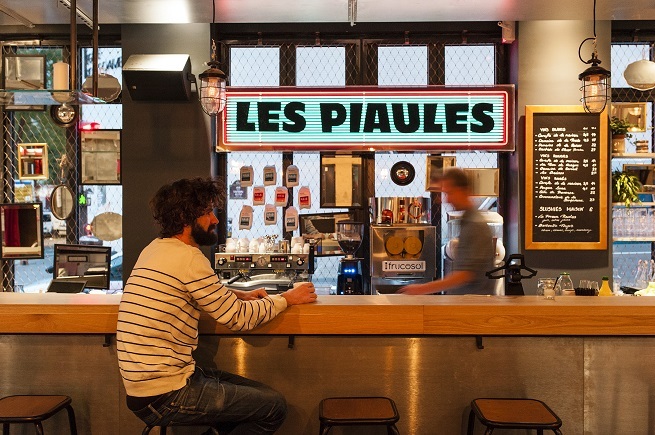 Another fun and lively hostel option for groups of travelers or those who don’t mind sharing their space to save their money, Les Piaules offers 4-, 6-, and 8-bed dooms from 31€ a night, located in cool, creative, and multicultural Belleville. 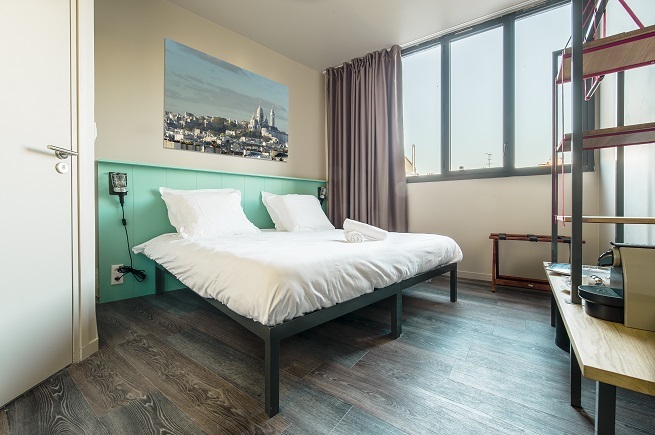 There are also private bedrooms and bathrooms, some even with rooftop terrace access with a great view of the Sacré Coeur, Notre Dame, and Eiffel Tower. 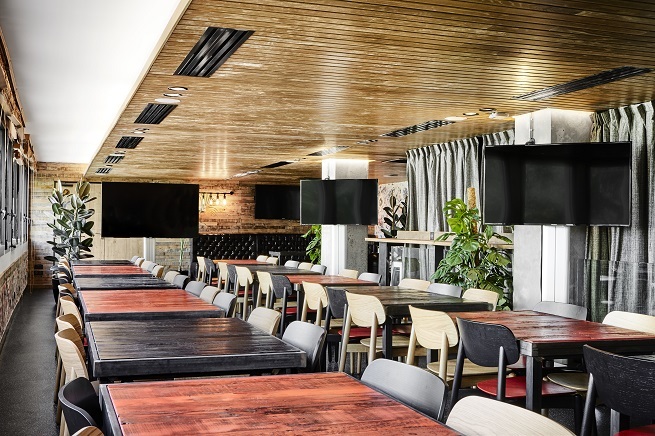 And it’s not just a place to lay your head; head to the bar and restaurant for a range of local food and drinks including Parisian craft beers and the hostel’s own homemade lemonade. 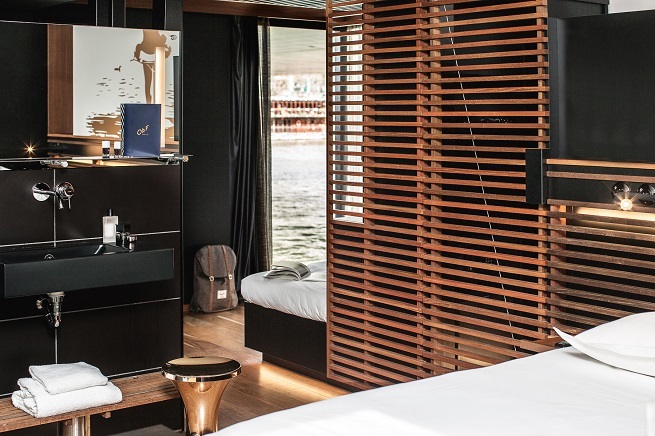 The floating hotel OFF Paris Seine is the only place in the city where you can sleep on the Seine, offering an unforgettable experience from around 140€ a night, not to mention a fantastic little outdoor pool and terrace for summer stays. 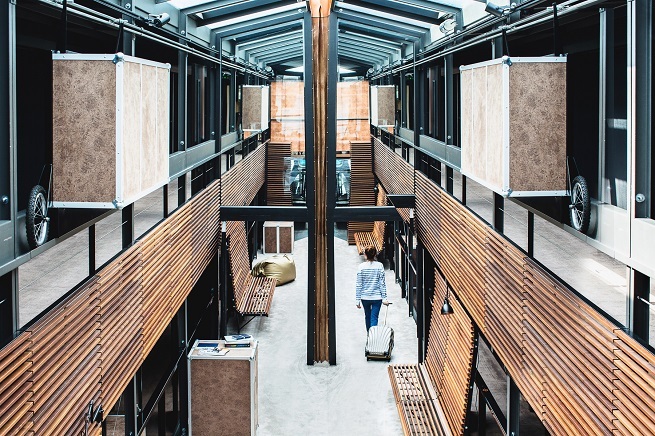 The unique hotel is also part of a bigger group, Elegancia Hotels, which definitely deserves a mention for offering stylish accommodation at hard-to-beat prices. 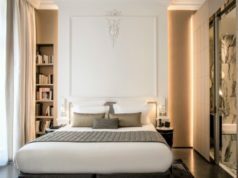 Not only that, the collection includes an impressive 16 hotels located in nearly every arrondissement in the city.